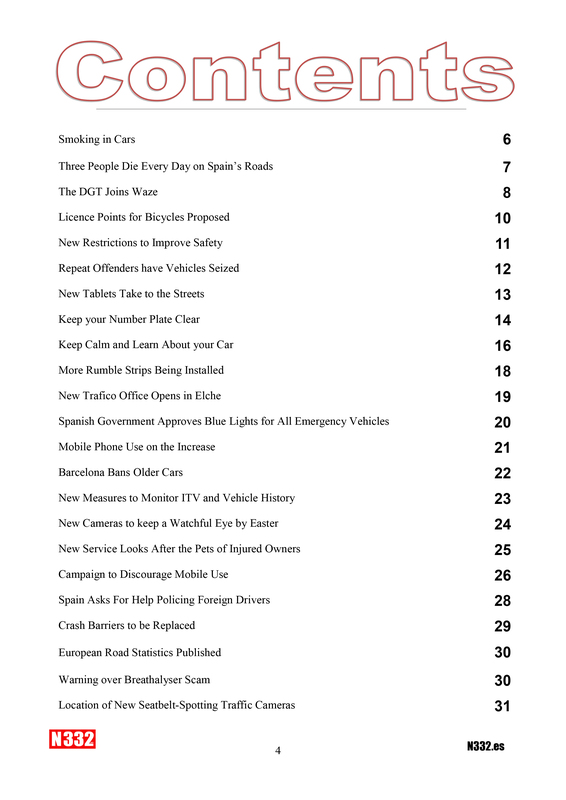 We have released an eBook to combine all of the traffic related articles published on the n332.es website throughout the year in an easy to read format which you can download as a PDF to keep on your device, computer, tablet or mobile. You can read the introduction below and see the contents at the bottom. 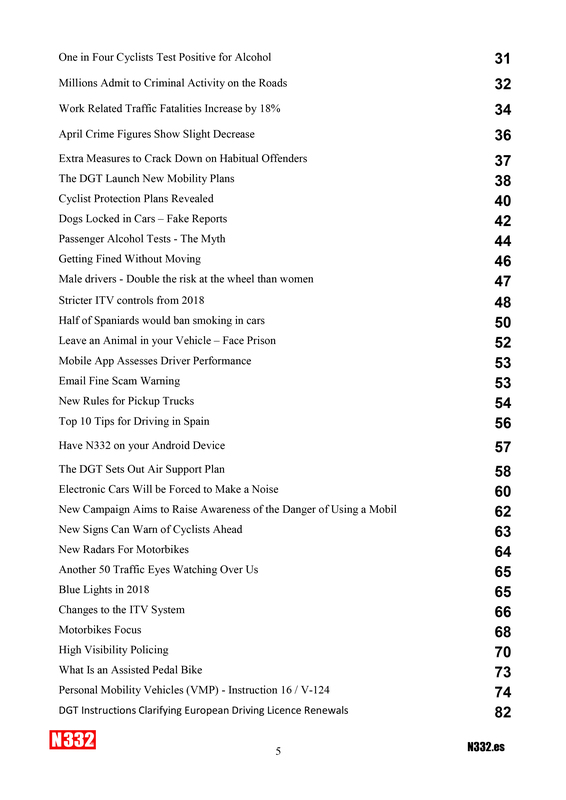 Remember, these articles are all available on the website, the eBook combines them into a simple reference book. 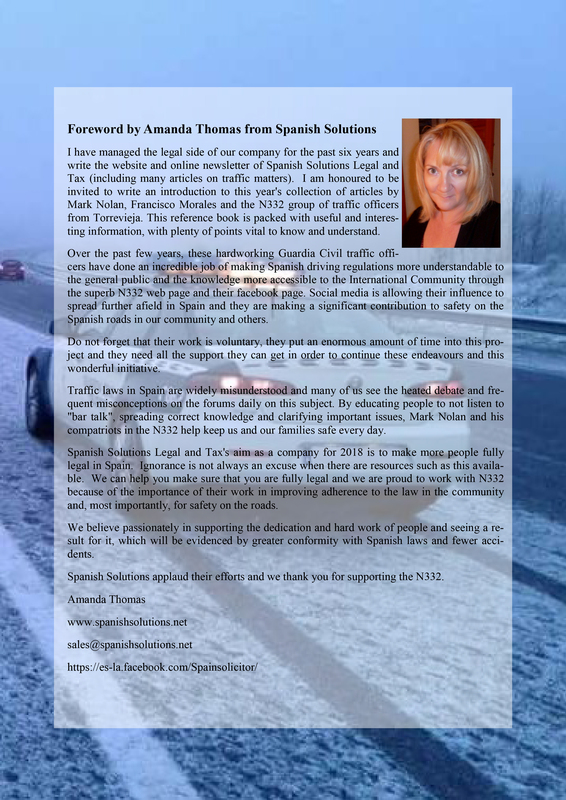 This eBook combines all of the traffic law related articles published on the n332.es website throughout 2017. These articles detail many of the changes which have been implemented throughout this year, as well as some of the proposals, and some laws which will come into forcé during 2018. We have also included a couple of other important articles, such as those which explain the facts surrounding some of the scams and fake warnings which have been shared through social media during the year. The idea is to combine the articles into a simple reference book, which you can have at your disposal at any time, allowing you to look back on these changes and refresh yourself and your knowledge at any time. 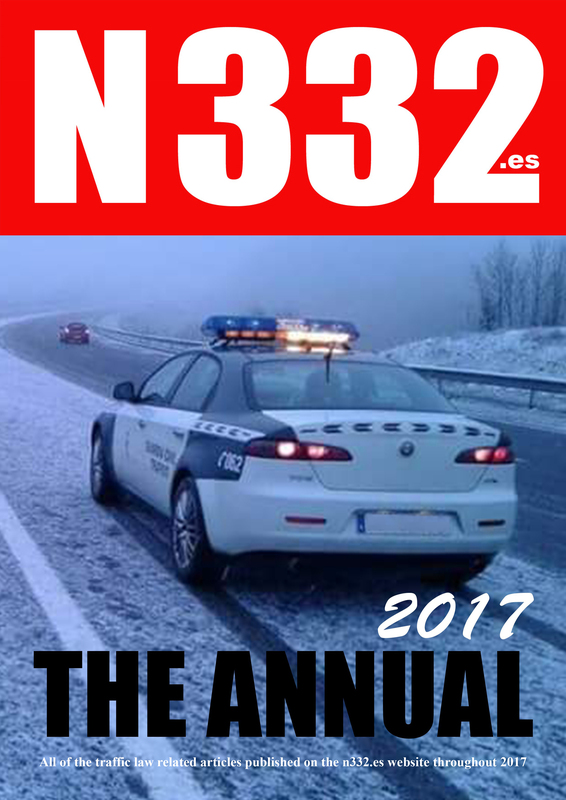 The n332.es website has become a valuable resource for accurate information, and, as always, the articles and information has been provided, checked and verified by Franciso Morales and his team, a serving Guardia Civil traffic officer based in Torrevieja who manages the N332 / Driving Spain Facebook group with a number of his colleagues, interacting on a daily basis with the many followers who have been looking for help and advice about driving laws. Remember to keep visiting the n332.es website for regular updates, follow the Facebook page, and download our Android app for the latest news. 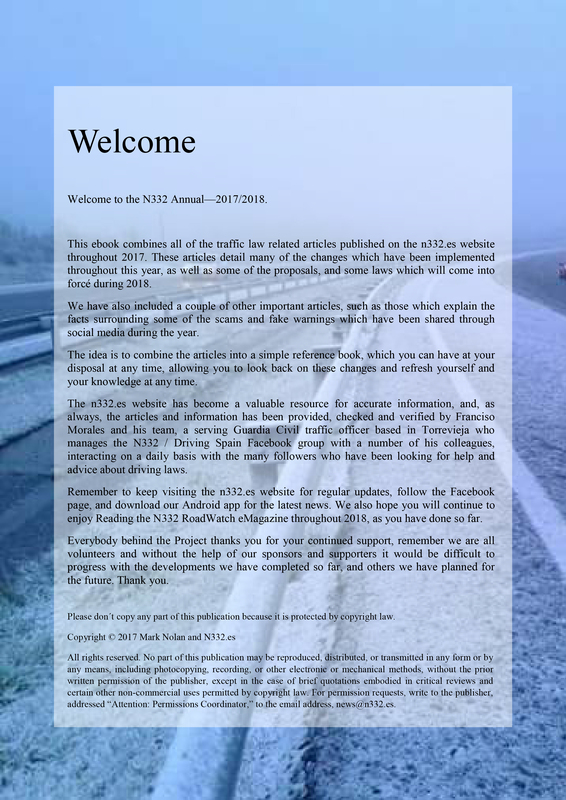 We also hope you will continue to enjoy Reading the N332 RoadWatch eMagazine throughout 2018, as you have done so far. Everybody behind the Project thanks you for your continued support, remember we are all volunteers and without the help of our sponsors and supporters it would be difficult to progress with the developments we have completed so far, and others we have planned for the future. Thank you.